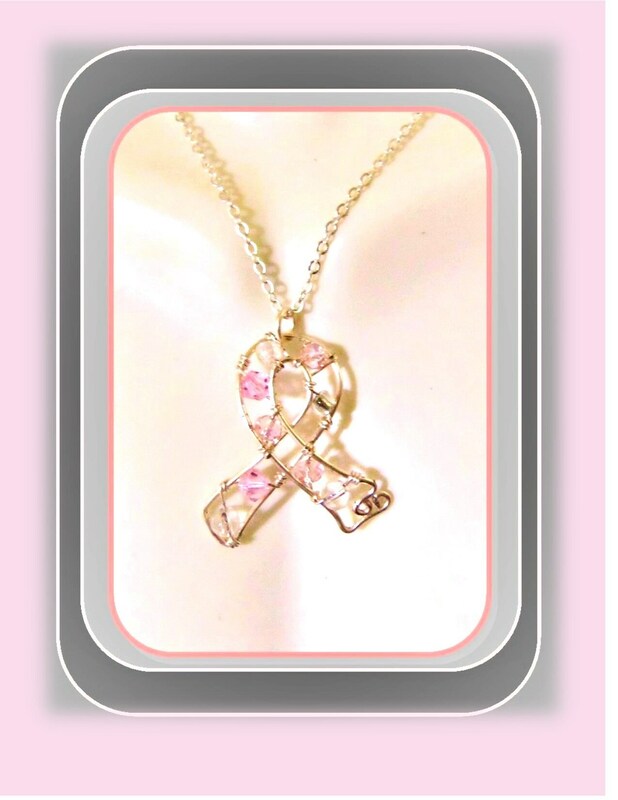 I Created these Custom pieces to Celebrate Survivors & "Breast Cancer Awareness"
~~ Tree Pendant is Delicately Hand Sculpted & Accented with Pink Rose Quarts gemstone and Pink Swarvoski Crystals ! 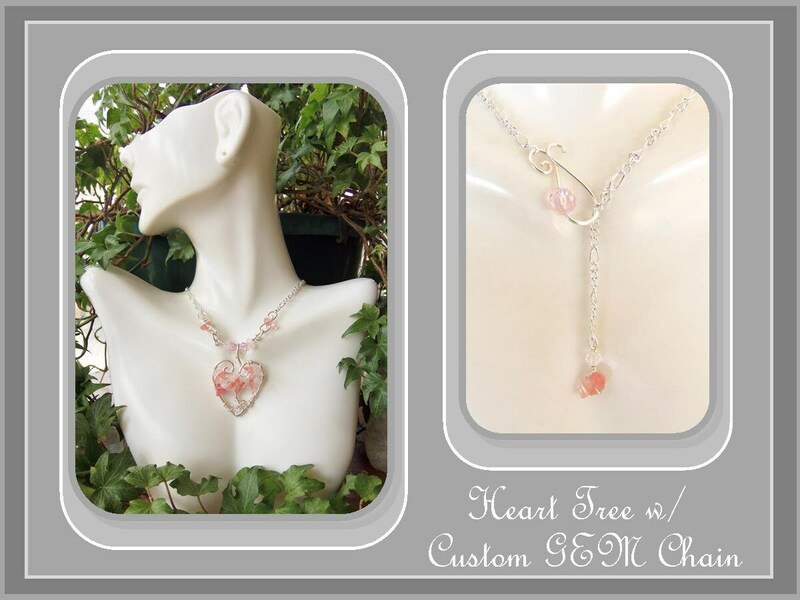 Spiral Heart,Tree & Ribbon Pendants measure approx.1 to 1 1/2"
would like any other length just note when ordering the length you would like! (please NOTE length you would like) when ordering lengths are adjustable to shorted! The Balance and Harmony prevalent in Nature is best symbolized by the of tree of life. The Tree of Life symbolizes the idea that all life on earth is interconnected. and its roots firmly grounded in "Mother Earth". 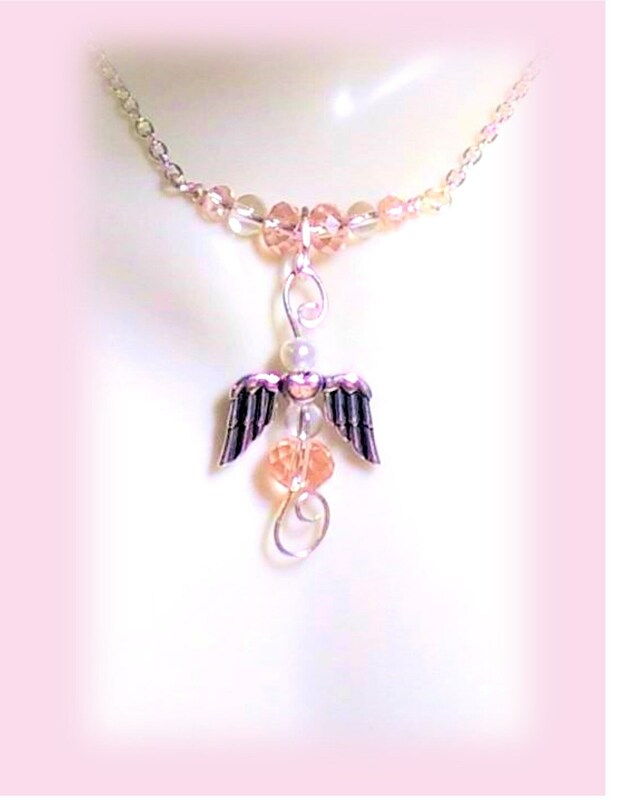 Your marriage can have more sparkle and fire when you wear a rose quartz. 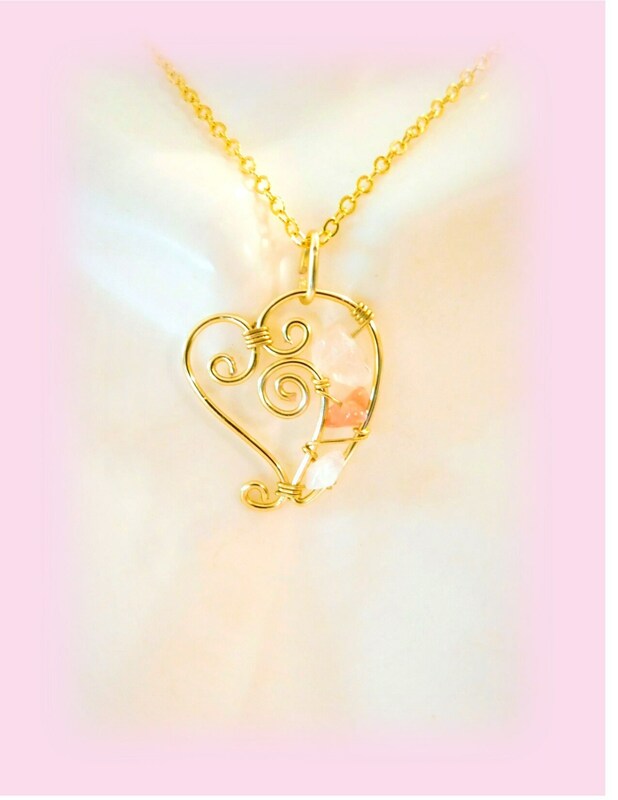 It is said to help the user feel a strong sense of self-worth, therefore being worthy of love, rose quartz is known the stone of universal love. 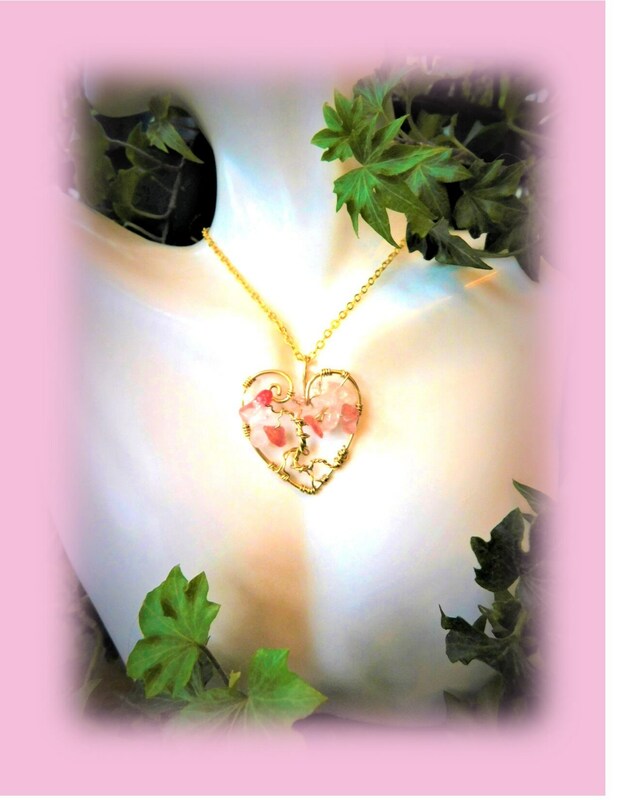 It is also said to be the stone of love of marriage and is said to bring romance to marriage when given as a gift. 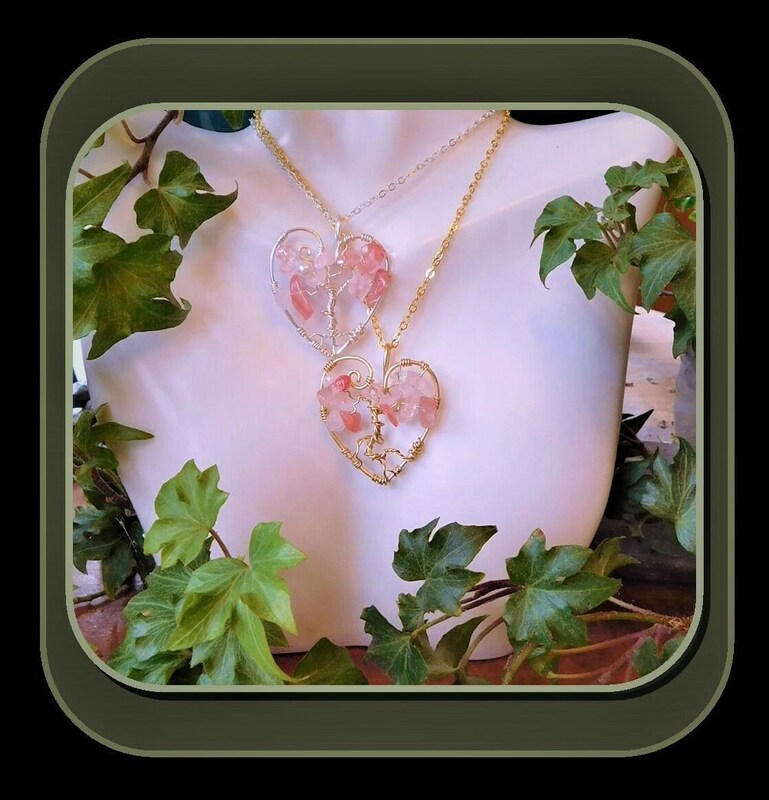 Emotionally rose quartz brings gentleness, forgiveness, compassion, kindness and tolerance. It raises one's self-esteem and sense of self-worth. 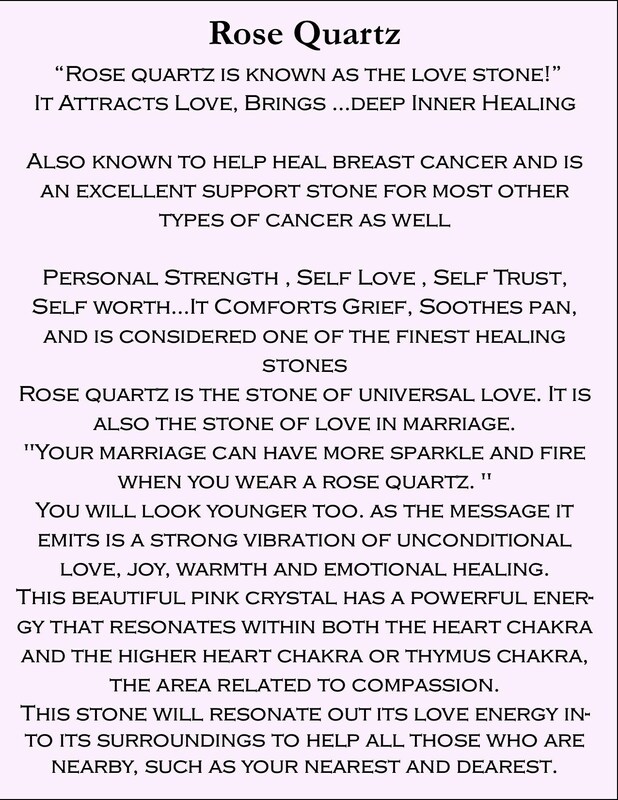 Rose Quartz Attracts the true essence of love. 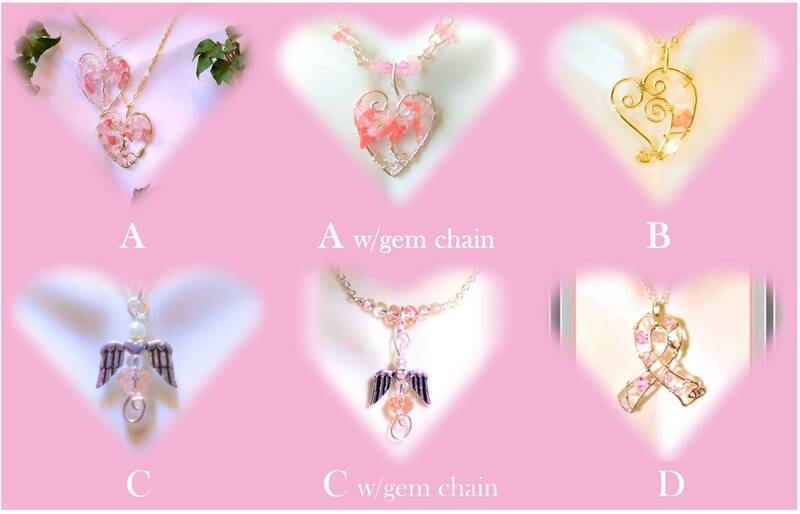 It is the most important crystal of the heart. self love, self trust and self worth.